We’re thinking of maybe making a soup. Recently we’ve tasted a honey and roast parsnip soup which was absolutely lovely and we’re hoping to replicate that. We’ve not actually tested the recipe yet but we’re going to make it on Christmas Eve. If it’s no good then we won’t serve a starter. We’re all about tradition in our house so it’ll be Turkey and trimmings all the way! 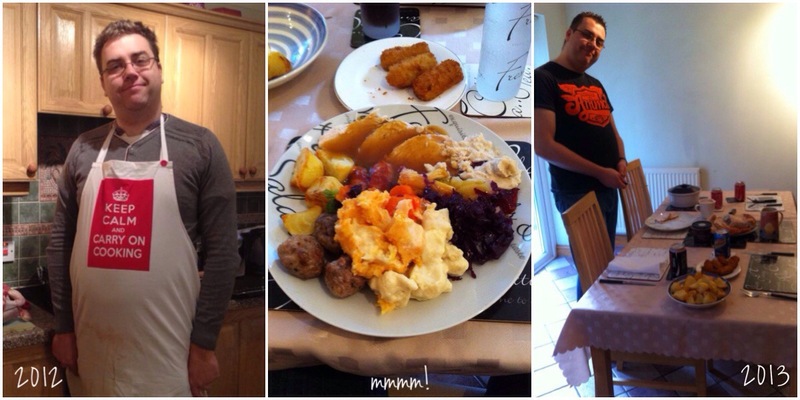 Turkey with mash potato, roast potato, croquettes, red cabbage, sausagemeat, stuffing, cauliflower cheese, brocoli, leeks and of course pigs in blankets! Here’s some photos of 2012 and 2013…. I do enjoy Christmas pudding but unfortunately hubby doesn’t like it so we’re giving it a miss. Instead we’re sticking to good old sponge cake! 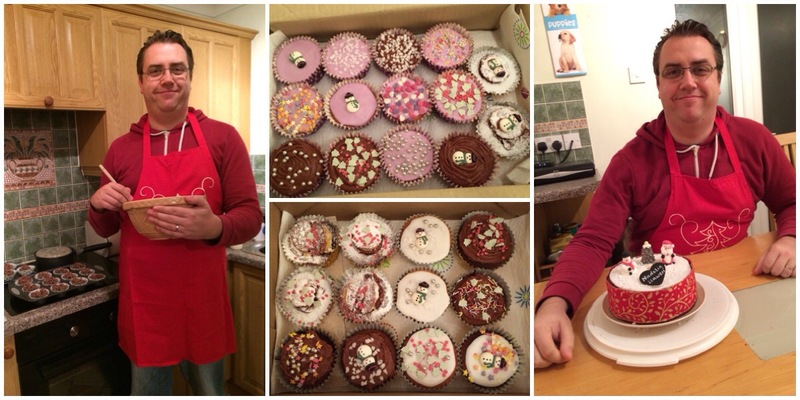 He’s been busy making cakes for work’s Christmas Jumper day! Looking pretty good… and bloody taste lovely! He even made some gluten free ones for one of the bosses and some rice crispy cakes for my other boss. Have your got plans for Christmas dinner? All you need to do is add a link to your post in the link up boxes below! I would appreciate if you visited the blogger who’s before you and leave a comment! We’ve already had our English Christmas dinner. Tomorrow the plan is to go out for lunch.. if anywhere has a table for us! Have a wonderful Christmas.